It’s always fun to have a signature cocktail at a theme party. 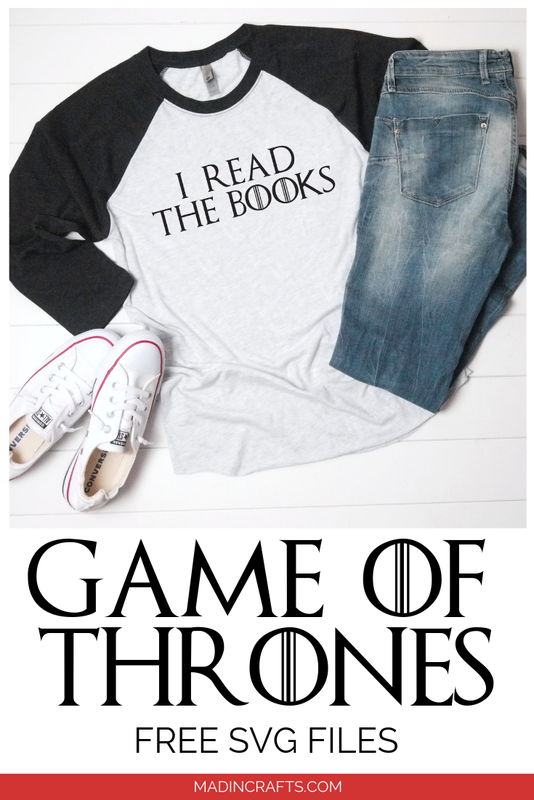 If you are throwing a viewing party for the final season of Game of Thrones, it just makes sense to serve fire and ice shots! 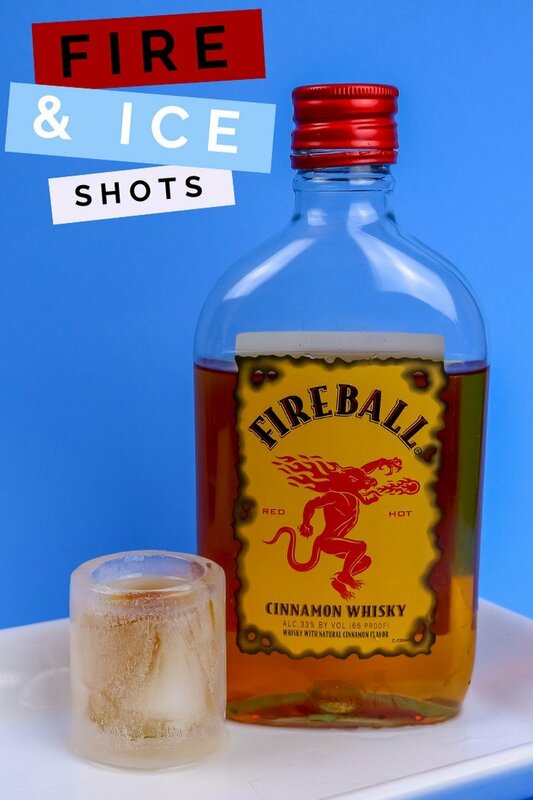 Serve Fireball whisky in ice shot glasses that you made yourself! 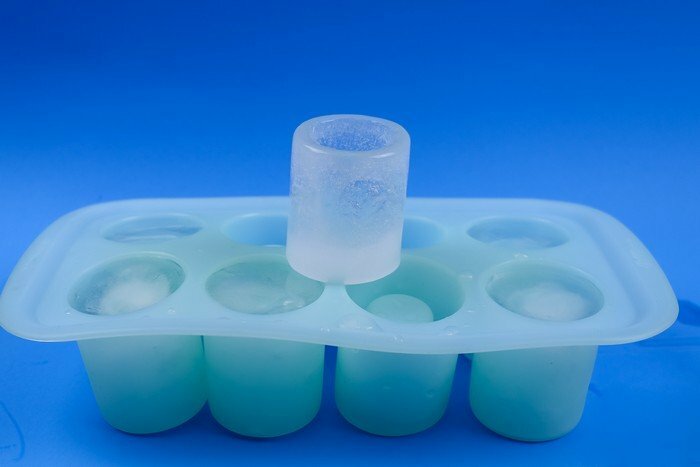 In order to make the ice shot glasses, you will need to buy a silicone shot glass mold. 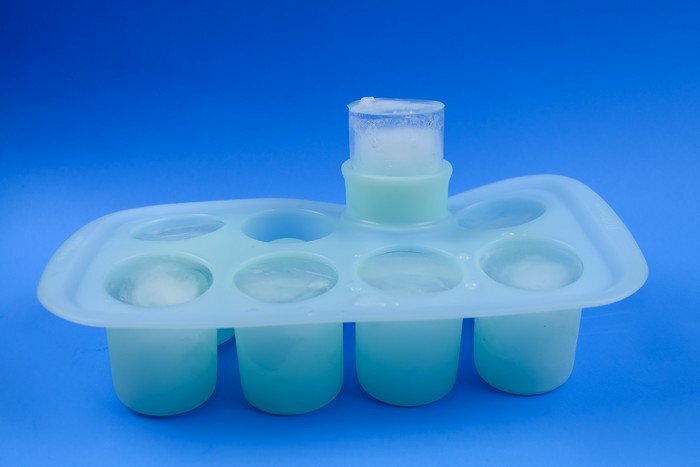 I used this Wilton mold to make my shot glasses. You want to make sure you choose the silicone mold NOT the metal cookie shot glass mold. How Do You Make A Song of Fire and Ice Shots? Boil the water before adding it into the shot glass mold. You will boil away impurities that make the ice cloudy. As a result, your shot glasses will be much more translucent! Then place the silicone mold on a tray or cutting board before placing it in the freezer so that the mold stays level. Freeze for at least 2 hours. 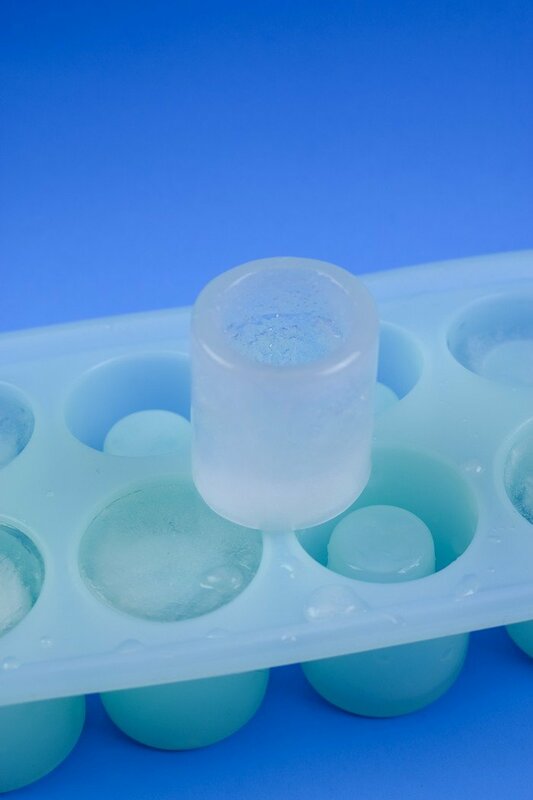 Remove the mold from the freezer and let it sit at room temperature for 1 minute before unmolding the shot glasses. They are a little tricky to unmold right out of the freezer, but if you wait too long they will get too slippery to handle. If you need to make more than eight glasses, you can unmold the first round of glasses and place them in a freezer-safe container. Keep them in the freezer while you make additional batches of glasses. What Kind of Liquor Should You Use in Fire and Ice Shots? 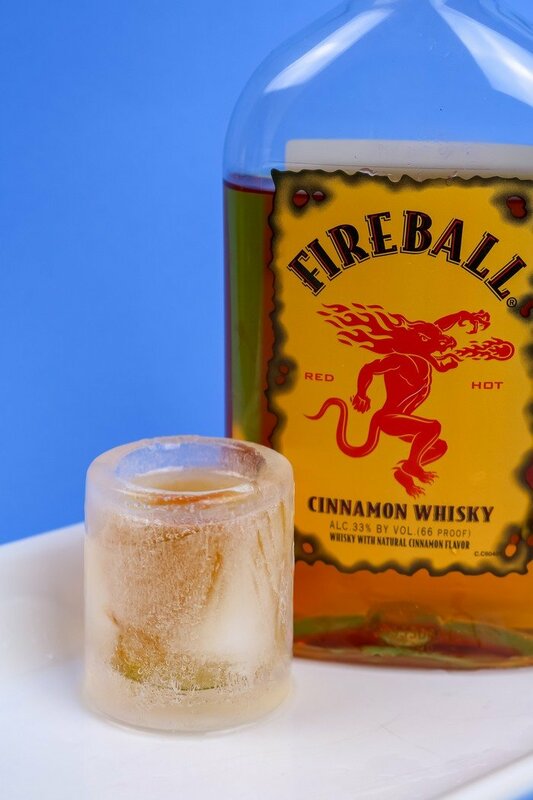 It makes the most sense to use a cinnamon whisky in your fire and ice shots. Fireball is probably the easiest cinnamon whisky to find, but it’s not the only one on the market. Jack Daniel’s and Jim Beam both also make cinnamon versions of their whiskys.